Wholesome! Organic Vanilla Frostings delicious flavor and ready-to-use convenience make it a pantry staple for all your last minute baking needs! It has a smooth, spreadable texture – perfect for topping cakes, decorating cupcakes and adding a sweet finish to your favorite cookies! Wholesome! 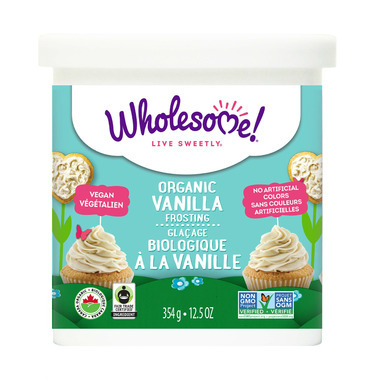 Organic Vanilla Frosting lives up to the ethical and sustainable standards you have come to expect from Wholesome! This frosting is Non-GMO Project Verified, Fair Trade Certified, Gluten Free, Kosher and Vegan. 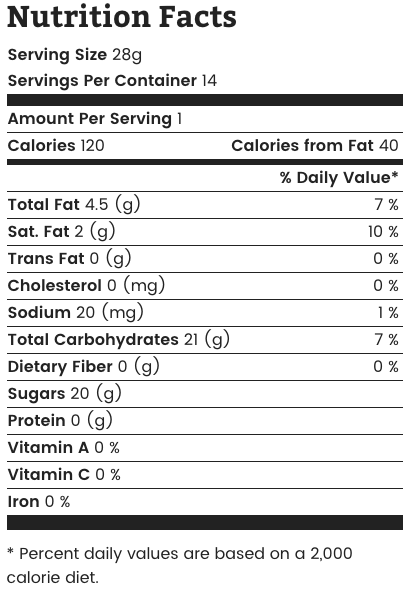 This delightful frosting is made from Wholesome!’s Organic Powdered Sugar and contains NO high fructose corn syrup or artificial colors! The oil is sustainably sourced and the jars are recyclable and BPA free. It is perfect for busy moms & dads who need a quick batch of cupcakes for the school bake sale or birthday party. The Fair Trade Certified logo is Wholesome!s guarantee that their farming cooperatives are paid directly for the cane they grow and mill. This means that farmers can compete with factory farms, cultivate the quality of their crops, send their kids to school and build thriving communities. Thank you for choosing Wholesome! We quite like this product. I have mixed in some squeezed lemon juice and lemon peel this makes a great lemony glaze icing.